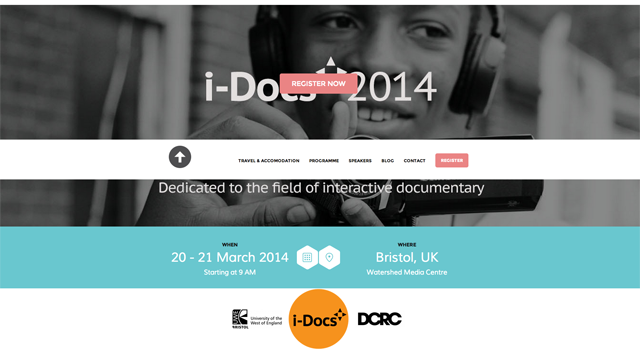 Writer/director, Ramona Pringle, is heading to Bristol, UK this week where she’ll be presenting a case study at i-Docs 2014, a two-day event dedicated to the rapidly evolving field of interactive documentary. Avatar Secrets: A Case Study takes place March 21st from 2:50 – 3:35 pm, in Cinema 1 at the Watershed Media Centre. The presentation takes a deep dive into the technical and creative nitty gritty of Avatar Secrets, with a look at how tablets and personal touch screens are changing the documentary viewing experience. Keynote speakers at i-Docs 2014 include new media artist Hank Willis Thomas (Question Bridge), documentary storyteller Elaine McMillion (Hollow) and media historian Professor William Uricchio (MIT Open Documentary Lab). Ramona will be attending both mipDoc and the Hot Docs Film Festival in April. Click here to read a Q&A with Ramona Pringle and i-Docs’ social media manager, Jess Linington.